This message #1 was written by Boffer pre-2013. This small floral spray brooch was made by Cartier, and was presented by King George VI and Queen Elizabeth to The Queen, whilst still Princess Elizabeth, as a birthday gift in 1945 along with a matching pair of “earrings in the shape of miniature flowers on tiny stems”. 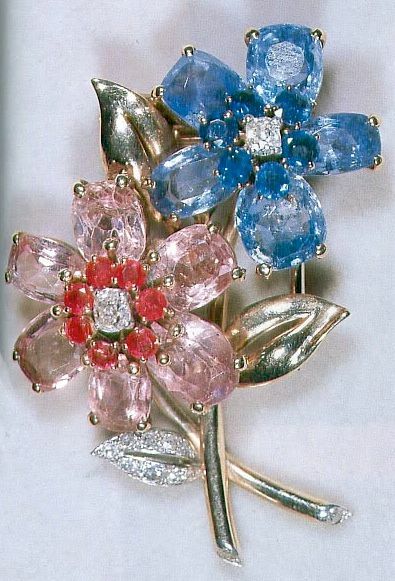 Field describes this brooch as a “gold spray brooch with one flower of all blue sapphires and another of pink sapphires and cushion-cut rubies. Both have square-cut diamond centres and one of the three leaves is pavé-set with diamonds”. 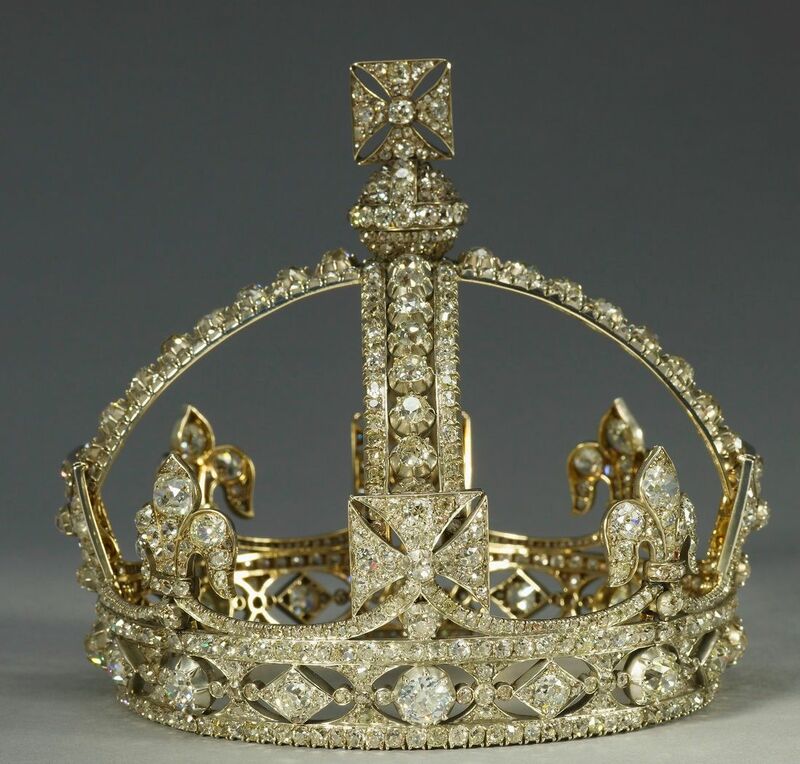 This brooch is worn occasionally by The Queen. Queen Elizabeth II - Christmas broadcast 1990 - as captured during the popular documentary "Elizabeth R"